Vice president of FBiH Svetozar Pudaric visited companies Prevent, Rattan Sedia and ADD Guber Spa in Srebrenica today. Enver Bijedic, Minister of Traffic and Communications of FBiH accompanied him. ”The aim of this visit is to talk to people who have demonstrated they are serious investors in area of Srebrenica municipality and whose intention is to develop production, stay and hire those who are interested in doing that job. That is something that needs to change the overall treatment of the issue of survival in Srebrenica and that is what guarantees the future to Srebrenica, especially young people who are working here and providing for their families, who do not have to think about whether to leave or stay in Sebrenica’, said vice president of FBiH Svetozar Pudaric. ”We have provided significant funds for infrastructural projects in Srebrenica and that of course is not the end. Opening of company such as Prevent in Srebrenica is important. We in the Government intend to help as much as we can and as much as the budget allows us to help infrastructure in Srebrenica to develop faster than it has”, said Minister Bijedic. Minister Bijedic added that Guber Spa is one of the most recognizable spas in entire former Yugoslavia and it deserved to be revitalized. 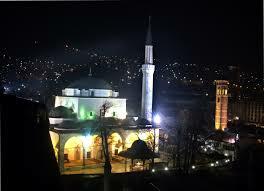 Project of Guber Spa is of strategic importance for development of not only Srebrenica but BiH as well.